A young soldier of India Army died on October 4, 1968 while serving at Indo-China border at Nathula. Revered as Baba Harbhajan Singh, his spirit besides warning about unforeseen dangers has been guarding the border diligentlyfor more than four decades. A shrine has been built in his name to honour his unique contribution towards defence of the nation. He continues to help fellow colleagues and citizens in times of need. Treated as a Deity by the Army as well as millions of Indians, people throng to his shrine throughout the year. Soldiers guarding Indo-China border at nathula swear by his omnipresence. 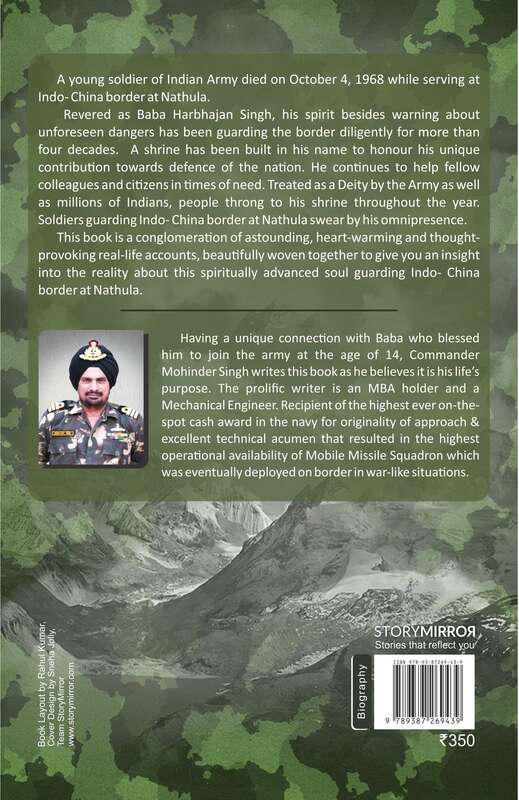 This book is a conglomeration of astounding, heart-warming and thought-provoking real-life accounts, beautifuly woven together to give you an insight into the reality about this spiritually advanced soul guarding Indo-China border at Nathula. 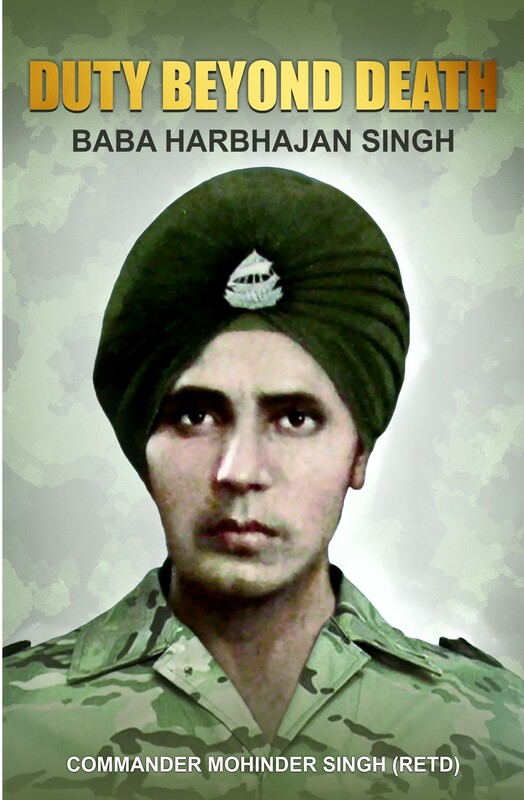 Having a unique connection with Baba who blessed him to join the army at the age of 14, Commander Mohinder Singh writes this book as he believes it is his life's purpose. The prolific writer is an MBA holder and a Mechanical Engineer. Recepient of the highest ever on 'the-spot cash award in the navy for originality of approach & excellent technical acumen that resulted in the highest operational availability of Mobile Missile Squadron which was eventually deployed on border in war-like situations.